If you’re searching for a marketing or web firm to help you establish a new online presence, then it makes sense to work with an award-winning firm, right? In the absence of any outside information, that would certainly seem like a smart choice. 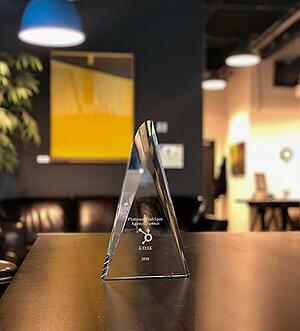 After all, an armful of metal (or acrylic) paperweights is a sign that a designer or team is well-respected within the industry and celebrated by their peers. Except, of course, when those achievements don’t mean that at all. As it turns out, some awards aren’t actually as prestigious as they seem. I know this from firsthand experience because I used to play the award game myself earlier in my career. Let me explain how some (almost all) awards are given out. They begin when an industry group or marketing association sends out a call out for submissions. Normally, there'll be a swack of categories so firms can submit multiple entries. The registration period will extend for some time, and 'entry' fees will be collected for each. The whole thing culminates with a celebration or event where the awards are given out. Nearly everybody gets a trophy to take back to the office. Although it is never really stated explicitly, there is a definite pay-for-play model here. The participating companies submit their work for a fee (often $75-250 each), and as a benefit of winning they get a chance to promote their agencies as being award-winning. 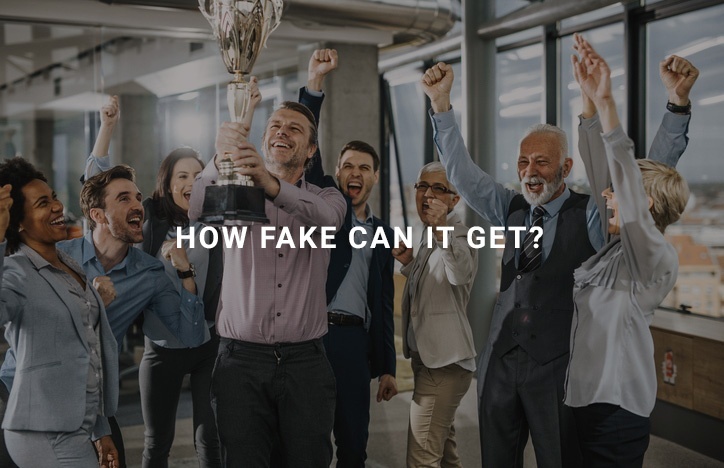 That might be good news for their marketing and sales activities (because it is one), but it isn’t helping business owners make informed decisions about who to trust. Another way many agencies earn awards is nearly as sinister. It involves creative teams “donating” their time to nonprofits or causes in exchange for complete creative freedom. That is, the web designer agrees to come up with a layout for free, but the charity in question has no say over what they’ll receive in return. The agency argument is that paying clients would never give them such creative license. This allows the web design team to flex their creative muscles without having to worry about constraints, like real-world results. They can experiment with unusual visuals, counterintuitive navigation menus, or strange font and colour combinations. Or maybe they'll just drop an F-bomb in the headline for effect. The result is bound to be unconventional, which means they’ll probably win an award for it. However, the finished product might not (usually not) have a lot of business value for the charitable group that receives it. At Kayak Online Marketing we are all about giving back to the community, and we donate our services a few times a year to groups we think can benefit, like Habitat for Humanity. However, coming up with strange web designs just to win awards isn’t worth the effort for us and wouldn’t be beneficial to the groups we honestly want to help. One other reason I tend to discount the value of awards is that they don’t have a lot of value to actual clients. The accolades are almost always given based on aesthetics, not real-world results. Granted, there is a connection between the two, but it isn’t always as strong as you might think. You can produce a web layout that looks great but does nothing to improve your search position or generate real leads. Likewise, prospects will come to your pages – and return to them – based on the strength of your information and your ability to engage your buyer personas, not just because it was pretty. In our world, the biggest award you can win is a successful outcome for your client. That means a game-changing website that transforms their business. When they start giving awards for that, I’ll pay a little more attention. What Are You Really Looking for in a Designer and Consultant? Let’s face it: the reason the design industry has these problems with awards is because business owners and creative directors know that you are going to be impressed. It's a cognitive bias they leverage. So it’s up to you to be a bit smarter and more critical in your thinking. Certainly, seeing that a creative team you want to work with has won awards isn’t a bad thing. But you shouldn’t be tricked into thinking that you have more information than you actually do, either. Take awards into account when looking at web designers just like you would samples and client testimonials. However, if you’re looking for real-world results with your next website – in the form of real lead generation, for instance, then make that the focus of your search. Check out case studies and verified results. Listen to their long-term plans. And, most of all, see if they can back up their claims by winning awards they don't pay to receive. Such as Kayak's 2019 recognition from DesignRush for UX. Follow these steps and you’ll find a design team that can win the ultimate web design award by helping you to create more business opportunities through your website.